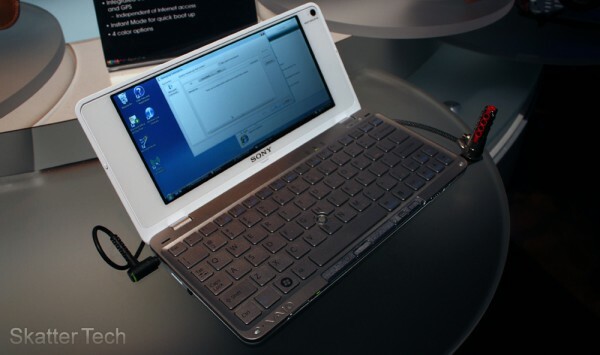 Last week at the Consumer Electronics Show in Las Vegas, Sony announced the VAIO P Series Notebook. It is claimed to take the spotlight of being the worlds lightest 8-inch laptop. I had a chance to play with a unit and I have to admit it did look quite enticing. But the first thing that came to my mind wasn’t that it was just another portable laptop, but rather a memory of a very similar Sony product from about 10 years ago. 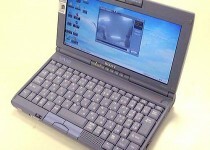 It was called the VAIO C1 and featured 233MHz processor, 3.2GB HDD, and a webcam (image thumbnail below). But most importantly it retains literally the same form factor of the new P Series. Thankfully the P Series has come a long way in terms of technology with plenty of power packed under the hood while weighing just 1.4 pounds. My initial response on first glancing over the specifications might have been that a lot of it was quite impressive. 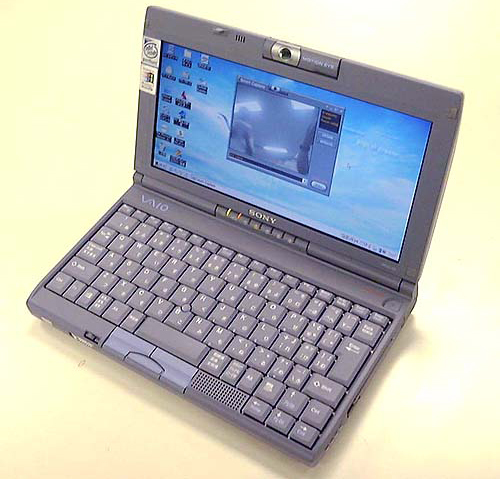 Although Sony’s PR folks were quite serious about not advertising it as a netbook, we’ll still call it one since it has a Atom Processor. Although the starting price might set it far away from other “netbooks,” but I’ll get to that later. First off, this is probably one of the few portable laptops I’ve come across that doesn’t have a crappy resolution. Sony managed to squeeze 1600×768 pixels into a 8-inch wide screen display. It’s great for those with decent vision, however will be a pain for many to see. And yes, I do know that text size can be changed in a second. But point being made, for those who can see, is the ability to view more content on the display than any other netbook. In fact the most common resolution for a 13-inch laptop is still 1280×800. Next, the SSD options offer plenty of storage space for multimedia. The P Series sports WiFi 802.11n, Bluetooth, and optional 3G Mobile Broadband through Verizon Wireless. The large spacious keyboard makes typing easier than on many other portables. The most unique feature is probably the built in GPS module which functions independently of 3G card, so no service is required. Your laptop now functions as a turn-by-turn navigator and applications such as Google Earth should be able to pinpoint your exact location. The other neat feature is the “instant OS” which borrows the UI from the PlayStation Portable and PlayStation 3. It allows quick access to music, movies, photos, and a web browser without needing to start up Windows Vista. Sony claims a 4 hour battery life with the standard capacity battery and a 8 hour capacity with the extended battery. Units will be available in red, green, blue, white, and black. Sony is now taking pre-orders on SonyStyle.com. Pricing starts at $900 for the lowest-end model. It will become available in retail stores next month. We will be getting a unit in a few weeks, so check back for an in-depth review!